DALLAS, Feb. 6, 2018 /PRNewswire/ — On Feb. 6, the Board of Directors for Brinker International, Inc. (NYSE: EAT) declared a quarterly dividend of $0.38 per share on the common stock of the company, representing a 12 percent increase over the prior year. The dividend will be payable March 29, 2018 to shareholders of record as of March 9, 2018. Brinker International, Inc. is one of the world’s leading casual dining restaurant companies. Founded in 1975 and based in Dallas, Texas, as of the fiscal second quarter ended Dec. 27, 2017, Brinker owned, operated or franchised 1,682 restaurants under the names Chili’s® Grill & Bar (1,630 restaurants) and Maggiano’s Little Italy® (52 restaurants). DALLAS, Jan. 30, 2018 /PRNewswire/ — Brinker International, Inc. (NYSE: EAT) today announced results for the fiscal second quarter ended Dec. 27, 2017. "Brinker saw performance improve across the business during the second quarter, especially related to our initiatives to change traffic trends at Chili’s," said Wyman Roberts, chief executive officer and president. "With this foundational strategy in place, we will focus on targeted segments of the business we believe will enhance the guest experience and drive traffic." Chili’s Domestic comparable restaurant sales percentages are derived from sales generated by company-owned and franchise-operated Chili’s restaurants in the United States. System-wide comparable restaurant sales are derived from sales generated by company-owned Chili’s and Maggiano’s restaurants in addition to the sales generated at franchise-operated Chili’s restaurants. CHILI’S second quarter company sales decreased 1.3 percent to $623.6 million from $632.1 million in the prior year primarily due to a decline in comparable restaurant sales. As compared to the prior year, Chili’s restaurant operating margin1 declined. Restaurant labor, as a percent of company sales, increased compared to the prior year due to higher wage rates, partially offset by lower employee health insurance costs and incentive bonuses. Cost of sales, as a percent of company sales, increased slightly compared to the prior year due to unfavorable product mix on beef, ribs and chicken and unfavorable commodity pricing on produce, partially offset by increased menu pricing and favorable commodity pricing on beef. Restaurant expenses, as a percent of company sales, decreased due to lower advertising and repairs and maintenance expenses, partially offset by sales deleverage. 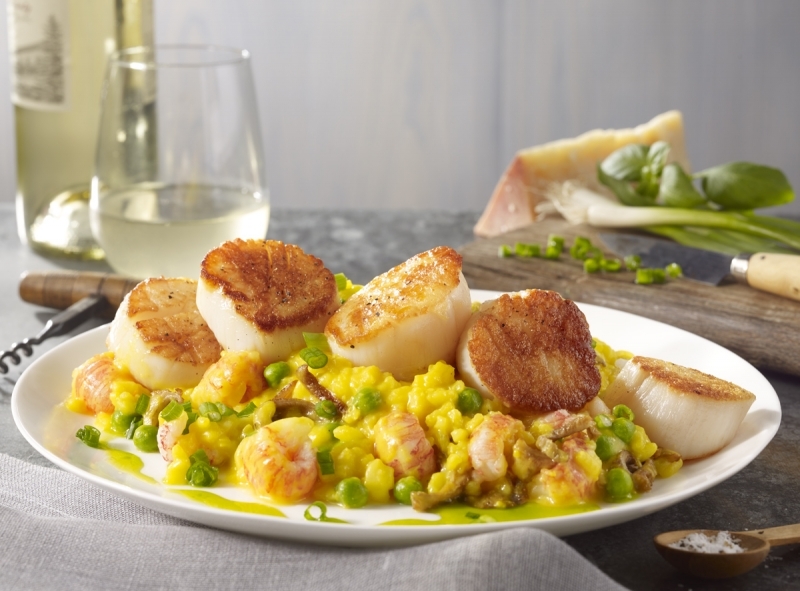 MAGGIANO’S second quarter company sales increased 2.1 percent to $119.1 million from $116.6 million in the prior year primarily due to an increase in comparable restaurant sales. As compared to the prior year, Maggiano’s restaurant operating margin1 improved. Restaurant expenses, as a percent of company sales, decreased primarily due to sales leverage and lower property taxes, preopening and workers’ compensation insurance expenses. Restaurant labor, as a percent of company sales, decreased compared to the prior year due to sales leverage and lower incentive bonuses, partially offset by higher wage rates. Cost of sales, as a percent of company sales, was negatively impacted by unfavorable commodity pricing, partially offset by increased menu pricing. The Tax Act was enacted on December 22, 2017 with an effective date of January 1, 2018. The enactment date occurred prior to the end of the second quarter of fiscal 2018 and therefore the federal statutory tax rate changes stipulated by the Tax Act were reflected in the current quarter. The Tax Act lowered the federal statutory tax rate from 35 percent to 21 percent effective January 1, 2018. Brinker’s federal statutory tax rate for fiscal 2018 is now 28 percent, representing a blended tax rate for the current fiscal year based on the number of days in the fiscal year before and after the effective date. For subsequent years, our federal statutory tax rate will be 21%. We were also required to revalue our deferred tax accounts using the new federal statutory tax rate in the period in which the Tax Act was enacted. The Company’s deferred tax position is a net asset and as a result, the reduction in the federal statutory tax rate resulted in a one-time non-cash adjustment to our net deferred tax balance of $8.7 million with a corresponding increase to the provision for income taxes in the second quarter of fiscal 2018. On a GAAP basis, the effective income tax rate increased to 38.3 percent in the second quarter of fiscal 2018 from 28.2 percent in the second quarter of fiscal 2017. This increase was driven by the revaluation of the Company’s deferred tax accounts pursuant to the Tax Act, partially offset by the positive impact of lowering the federal statutory tax rate and lower profits. Excluding the impact of special items and the revaluation of the Company’s deferred tax accounts, the effective income tax rate decreased to 19.5 percent in the second quarter of fiscal 2018 compared to 28.1 percent in the second quarter of fiscal 2017 primarily due to the lower corporate tax rate and lower profits. The Tax Act will have a material impact on the Company’s effective tax rate for fiscal 2018. The Company estimates adjusted earnings per diluted share, excluding special items and the revaluation of the Company’s deferred tax accounts, for fiscal 2018 will be in the range of $3.42 to $3.52 including the effective rate impact of the Tax Act. Previously, the Company expected the effective income tax rate excluding the impact of special items to be approximately 27 to 29 percent for fiscal 2018. The Company’s effective tax rate excluding the impact of special items and the revaluation of the deferred tax accounts is now expected to be approximately 20 to 22 percent. The Company believes providing estimated fiscal 2018 earnings per diluted share guidance provides investors the appropriate insight into the Company’s ongoing operating performance. For those who are unable to listen to the live broadcast, a replay of the call will be available shortly thereafter and will remain on Brinker’s website until the end of the day Feb. 27, 2018. – Third quarter earnings release, before market opens, May 1, 2018. 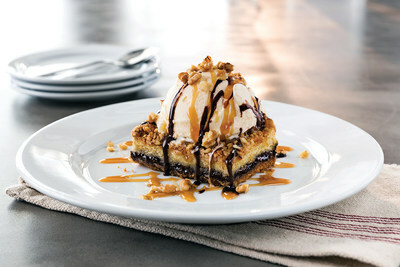 Brinker International, Inc. is one of the world’s leading casual dining restaurant companies. Founded in 1975 and based in Dallas, Texas, as of December 27, 2017, Brinker owned, operated, or franchised 1,682 restaurants under the names Chili’s® Grill & Bar (1,630 restaurants) and Maggiano’s Little Italy® (52 restaurants). DALLAS, Jan. 9, 2018 /PRNewswire/ — Brinker International, Inc. (NYSE: EAT) today announced that Wade Allen has been named senior vice president and chief digital officer of the company, effective immediately. Allen will transition from David Doyle, former Brinker chief information officer, who will retire after more than 23 years with the company. This change marks a conscious effort to leverage synergies with the ever-changing technologies and consumer behaviors and evolve Brinker’s information technology organization into a digital-first team. In his role as chief digital officer, Allen will lead the creation of a seamless, efficient end-to-end digital experience from Team Member to Guest. 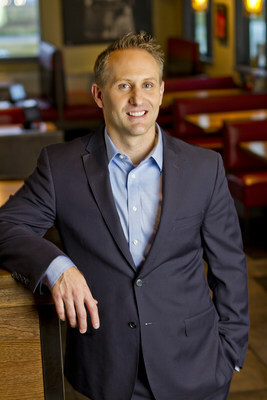 Allen joined the Brinker family in 2014 as Vice President of Digital Guest Experience leading Chili’s to be recognized as the technology leader in the casual dining restaurant industry today. Prior to Brinker, Allen served as president of CouponFactory, a wholly-owned subsidiary of Rockfish Interactive, where he was responsible for the company’s overall strategy and retail digital shopper marketing initiatives as well as new business growth and product ideation.